It’s been a few months since I went to the doctors so it’s probably an OK time to go. Jim in the cube next to me went to the doctors last week and the dentist this week. He’s probably interviewing for another job. Doesn’t he realize you need to space these things out? You don’t want anyone to think you’re trying to pull something. I decide I’ll go next week. I really need to get my teeth cleaned and it’s been forever. I call my dentist and ask if they have any appointments first thing in the morning. You know, so I don’t have to miss any more work than I have to. Yes! They have an 8AM on Wednesday. Great! For a second I think about working from home after since the dentist is out of the way – but that idea is quickly scrapped. I ask my boss, “Can I go to the dentist next Wednesday? I’ll only be gone for an hour or so.. and I’ll probably get in at normal time anyways because my appointment is at 8AM. I need to let them know that I’ll be unavailable during that one hour time slot next week. If they have to get ahold of me or email me, they need to know that I’m out of the office and won’t be able to answer immediately. It’s Wednesday and I’m headed to the dentist. There is traffic and I’m having trouble finding parking. If I miss this appointment and have to make another appointment, everyone is going to think I’m trying to slack off, or I’m interviewing for another job. I CANNOT make another appointment so close to this one. And I have a meeting later that I need to attend and I’ll have to cancel or tell folks I’ll be late, which I don’t want to do. I check emails while I’m in the waiting room, to let people know I’m working. My boss emails me so I answer back as fast as I can. I rush out of the dentist and head to the office. I consider stopping to run an errand but I need to get there ASAP. I’ve already been gone far too long and don’t want anyone to think I’m dilly dallying. I get into the office. I make sure my boss sees that I’m back in the office. I check my emails that I already answered. I don’t take lunch because I already had time off to go to the dentist. I work a little later than normal because I had that time off in the morning. 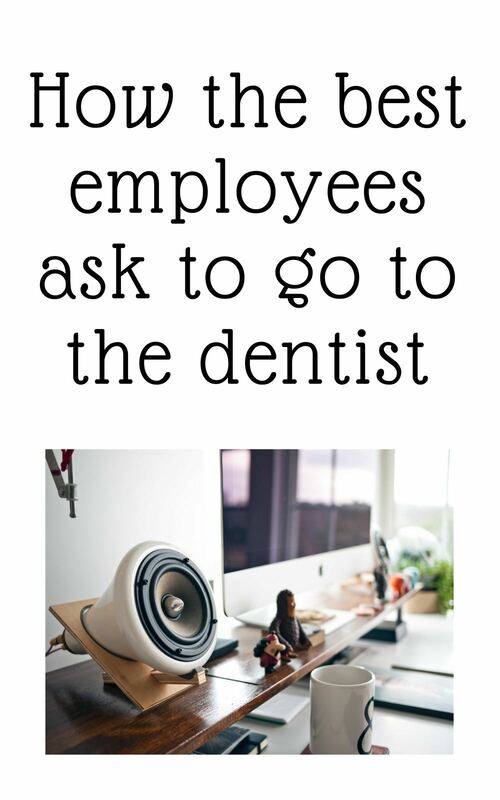 You almost had me believing that there really is a workplace where you’d actually have to adjust your dentist appointments to be sure you look good. I know, I’m gullible, there isn’t anyplace that crazy but you really had me thinking, for a minute, that you are that insecure about your place in the universe. My bad, I get it now. It is so hard for us boomers to tell when you millennials are yanking us. LOl this is farce to make a point. Sadly, most jobs don’t care about much beyond face time IMHO. I’d laugh but I can’t in the same way that I can’t laugh at The Office. TOO CLOSE TO HOME. It’s like staying later than your boss just because. Not doing any extra work, but just sitting on your computer until they leave. “trying to pull something” – nice pun there, J. Great post to help you reflect on the fallacy of face-time. Makes me think of those poor, poor interns working 80 hour weeks, sometimes actually DYING, because someone, somewhere set an example that quantity = quality. In fact, the ones who put in the least time but extract the biggest results somehow come out on top. If only this farce was actually that extreme and not just a slight exaggeration for quite a few jobs haha. I work 80% time, so I schedule alllll my appointments (myself, kid, dogs, cat) outside of my regular work hours. Which is easier in a way, but you’ve got me thinking that man maybe I try to hard to make them all outside of work hours. Good grief. I work with some people like this. Multiple times a day, I want to tell them to chill the f* out. Your job sounds like hell. I’m sorry. Making time for anything in your everyday workplace is a huge hassle. My dentist, Richmond Dental in VT, make it super easy for me even though I still work a 9-5 job unfortunately.